Anyone who has dealt with Centrelink knows that it’s hardly the most efficient system out there, in fact dealing with Centrelink is one of the worse experiences you’re likely to have with any government department. I never realised just how bad things were until yesterday when I rang them to chase up some student payments. The first time I rang Centrelink I got the “Line Busy” status. So I tried a second time, and then a third, fourth, fifth and so on. 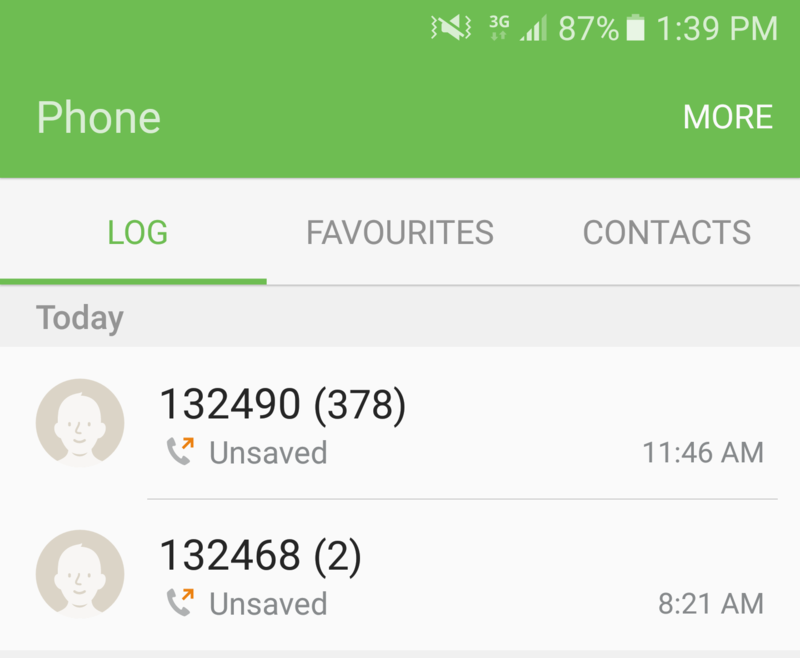 Eventually on the 378th call I was able to connect to the phone service and was automatically placed in a que. That’s correct 377 of these calls couldn’t even make the connection and it was only after hitting redial for a few hours that I was able to connect, only then could I be placed in a que were I would wait for another 90+ minutes on hold before reaching a human operator. 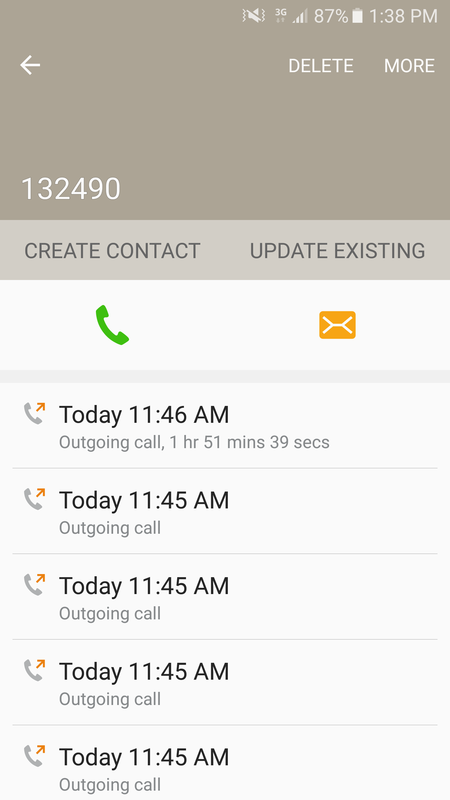 So in order to contact Centrelink it takes approximately 3 hours and 378 phonecalls to simply connect and be placed on hold then another 90 minutes or so until an operator becomes available. Once you do get the speak to an operator there is a good chance they will put you on hold again while they transfer you to someone who can actually help. This is beyond a joke, this is a travesty. This is a system that is broken beyond repair and I hate to think what happens to elderly or disabled people in a system that requires this level of absurdity before you can get any help. 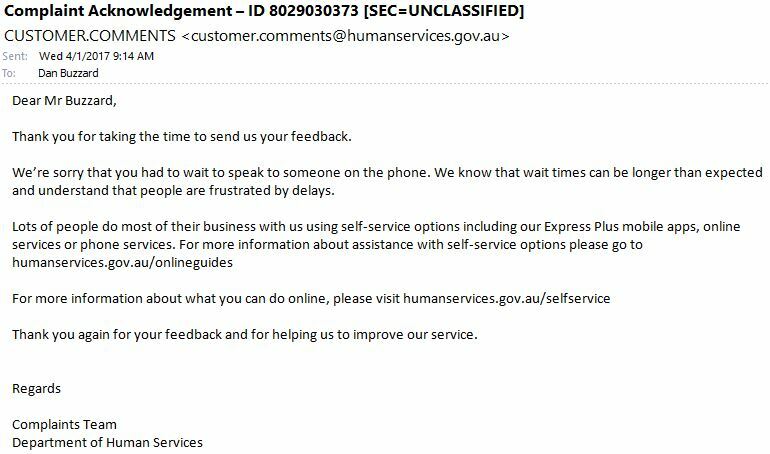 Just to top it off this is how Centrelink responds when you complain about being unable to reach them over the phone. These clowns are taking the piss at other peoples expense. I will be following this up with the Commonwealth Ombudsman and encourage everyone else to do the same.